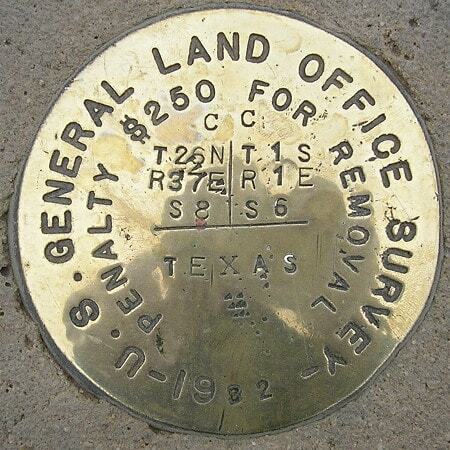 It includes a diagram illustrating the tri-state point and noting the township, range, and section numbers for the corners of NM and OK (Texas was not surveyed under the PLSS). But notice that the benchmark does not specify that the actual point is located a certain number of feet to the northeast (at the road intersection). So I am uncertain whether the actual tri-state point is exactly at the location of the benchmark, or whether it is at the road intersection. If it is at the location of the benchmark, then that means between the benchmark and the road is a very narrow strip of NM and OK, which seems like it would be quite awkward. 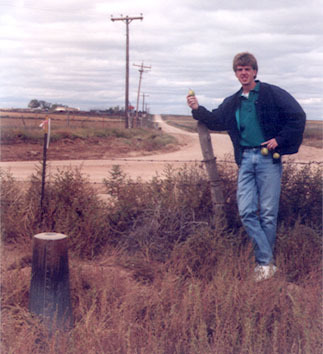 For example, in the photo above, I would have actually been standing in the extreme southwest corner of Oklahoma's panhandle, even though I was on the south side of the fence. A couple other things to note here: the north-south road (shown running off into the distance above) also marks the Cimarron Meridian. About 200 feet in that direction (north) is where that meridian intersects its baseline, and another survey monument is located there. 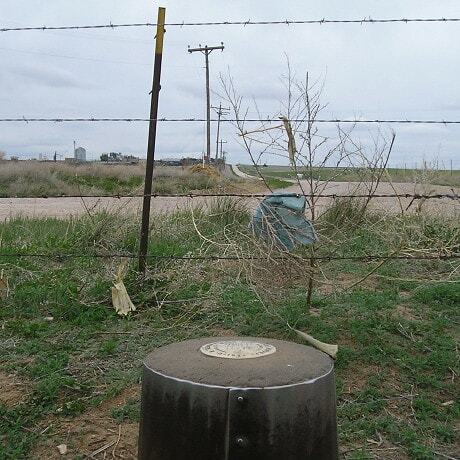 That is the initial point for the entire Oklahoma panhandle; all surveys are referenced to that point. Also, the northwest corner of Texas' panhandle is a mile or two to the west (left).